30 Jan What Are Some Signs That You Should Have Your Transmission Flushed? Automobiles are not the type of machines that you can passively own. They’re extraordinarily complex machines which are in need of regular monitoring, attention, and care. 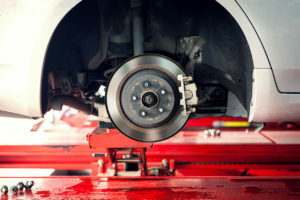 One of the things that you need to constantly be monitoring is your vehicle’s transmission. Without a properly functioning transmission, your car is as good as dead. 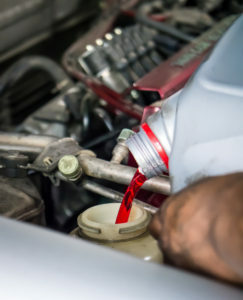 In order to keep your transmission operating at optimal levels, it needs to be lubricated with clean transmission fluid. This necessitates the flushing and changing of fluid around every 30,000 miles. 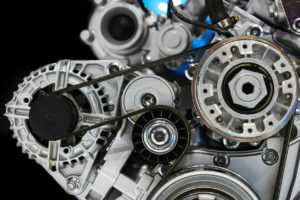 The transmission in your automobile is absolutely vital to its overall performance. For this reason, it needs to be properly cared for. In order for a transmission to run properly, it needs to be filled with transmission fluid at all times. This fluid allows the many components of the transmission to move to and fro with complete ease and fluidity. But transmission fluid is not everlasting. After a while, it will start to burn up. And after it’s burned up, it will not perform its task quite as well as it once did. For this reason, it needs to be changed around every 30,000 miles of driving.